The Law Enforcement Analyst’s Silent Partner! Written by analysts for analysts, this book is the silent partner that helps you solve your real-world, on-the-job analysis problems. All the tools, tips, tricks, and techniques to operate a crime analysis program, analyze data, and predict when and where the criminals will strike again are at your fingertips! 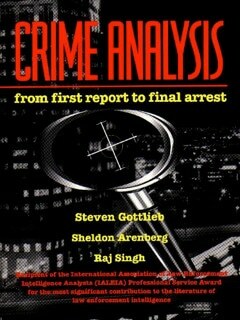 Amazon Customer“Stephen Gottlieb, the lead author of Crime Analysis, and his company have taken this book all over the world as the classroom text for new crime analysts and supervisors of crime analysis units. It is known throughout the crime analysis community as the “black book” or the “Gottlieb book”. In my unit, all newly assigned personnel were handed a copy of this book. Mr. Gottlieb, a former police officer and lead writer of this book, wrote it with the police officer in mind. It is not designed as an academic text. The language is informal and conversational. It is organized to run from basic introductory concepts to subjects a department should consider when it begins to form a crime analysis unit. Having studied this book, a person can go from no knowledge of the profession to functioning at an intermediate level. It is not unusual for individuals to be assigned to crime analysis duties with no prior background. This may be the single best book for that individual. There are better books for the more sophisticated reader and for the graduate student. If you plan to stay in the profession you should not stop with the Gottlieb book. However, with this book you will be able to quickly become a functioning crime analyst. 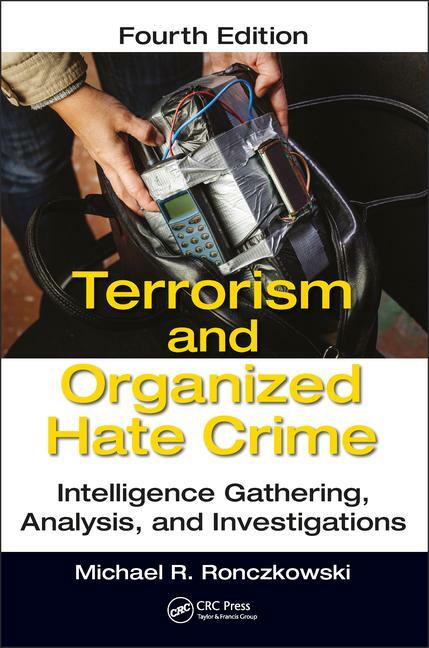 The book provides a framework for exploring the many issues involved in the analysis of terrorism and organized hate crimes. You will learn how to identify the traits and structures of multiple forms of terrorism, how to recognize the indicators of an impending act of terrorism or mass violence, how to deter and prevent an attack, how to gather information, and how to transform information into intelligence products you can use to bolster community demands for safety and security, and much, much more!